Sep 6, 2018 – [Toronto, ON] – Minto Apartments is pleased to announce that its new purpose-built rental tower, 1235 Marlborough in Oakville, Ontario, is now LEED registered. The 14-storey building comprised of 144 units, state of the art amenities and located in the prime College Park neighbourhood at Trafalgar and Upper Middle Road near Sheridan College, is also pre-leasing units with occupancy targeted for fall 2018. Rendering of purpose-built rental – 1235 Marlborough in Oakville, Ontario. Rendering of kitchen and living room area – 1235 Marlborough in Oakville, Ontario. Distributed in-suite heating, cooling and ventilation. In-suite HRV filters fresh air from the outside directly into unit. In-suite programmable thermostat for enhanced control of heating and cooling. Low VOC paints, sealants, and adhesives for improved indoor air quality. Enhanced flooring system certified to have reduced VOC emissions. Air sealing between units and corridors to reduce sound and odour migration. Enhanced energy efficiency – high-performance mechanical equipment, LED lighting and occupancy sensors, programmable thermostats, and more. High-performance water fixtures and toilets to reduce consumption and cost of water. Individual metering – allowing customers to control utility costs. 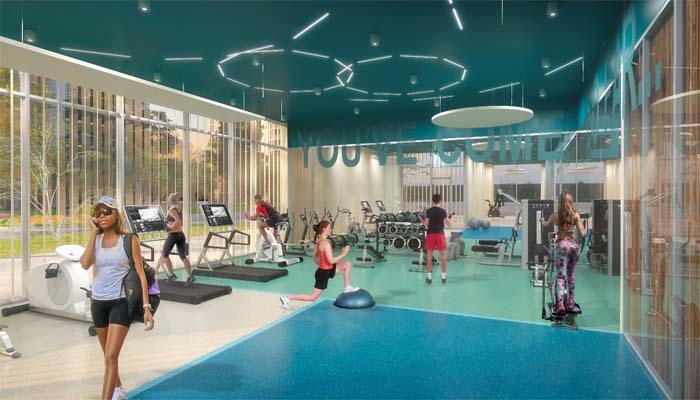 Rendering of fitness room – 1235 Marlborough in Oakville, Ontario. 1235 Marlborough is now “LEED Registered”, the first step in a three-stage LEED certification process, and is anticipated to achieve the LEED Certified level in 2019. To date, The Minto Group has LEED certified over 5,000 residential units in Ontario. 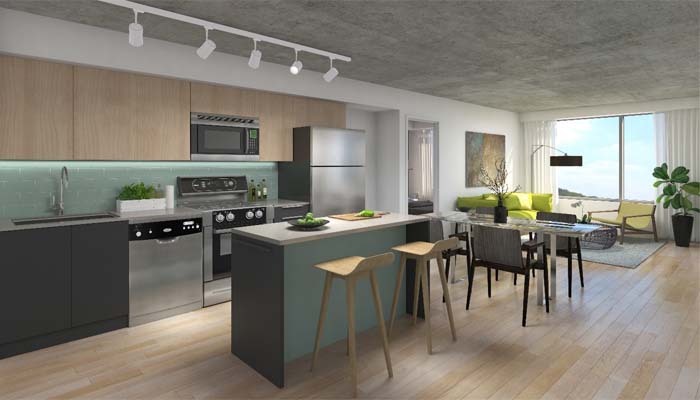 For more information on how to pre-lease now and move in starting fall 2018, call 647.475.5866 or visit 1235Marlborough.com. 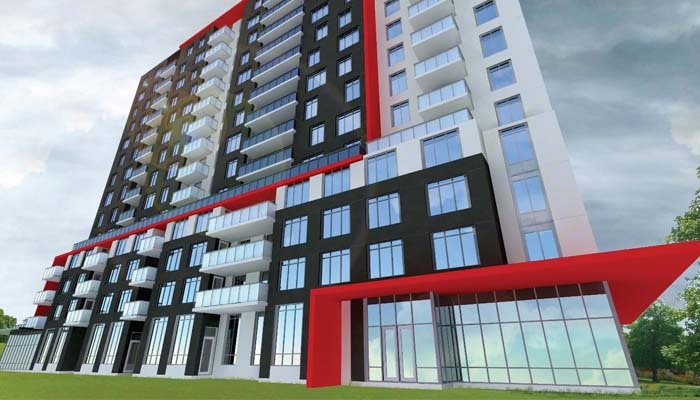 Minto Apartments is an offering of The Minto Group - one of the premier real estate companies in Canada with a fully integrated real estate investment, development and management platform. Since its inception in 1955, Minto has built more than 85,000 new homes, and currently manages more than 8,800 rental suites and 2.5 million square feet of office and retail space. As an investment manager, Minto manages private capital on behalf of institutional clients. Minto has been well recognized by the Canadian real estate industry for its leadership through notable awards. For more information, visit the website.